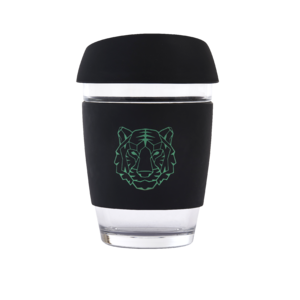 We donate 25% of each purchase of our reusable coffee cups and trucker hats to our very own Wildlife Sumatra Foundation. 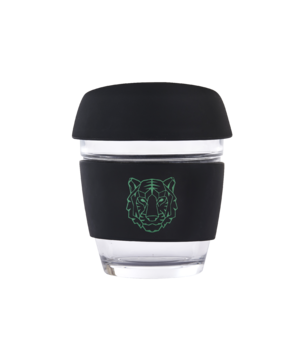 This is helping protect a very rare and important virgin forest that supports tigers and other amazing rare species that need our help. The anti-slip grip, thermal sleeve comes with a splash proof lid gives you comfort to enjoy your coffee where ever you go. TigersAngels donates 25% of all sales to our own tiger conservation program that helps protect forests and wildlife globally. 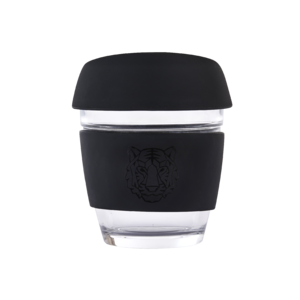 Your Tigers Angels cup fits perfectly under all coffee machines and will be happily received by your barista. The high quality borosilicate glass doesn’t absorb tastes, odours or germs like plastic does. Drinking out of our glass cup preserves the the great taste for you to enjoy. © 2017 Tigers Angels Clothing | All Rights Reserved.